An innovative glove sold in singles (not pairs) the Sitka Gear Caller's Glove lets you keep one hand free for better calling and trigger control. Between waves, keep your trigger hand warm in the highly insulated, Berber-lined hand muff, which is bonded to the back of an ultra-warm GORE-TEX® glove. NOTE: Right-handed shooters will need to purchase the left-handed glove, and vice versa. An innovative glove sold in singles (not pairs) the Sitka Gear Caller&apos;s Glove lets you keep one hand free for better calling and trigger control. 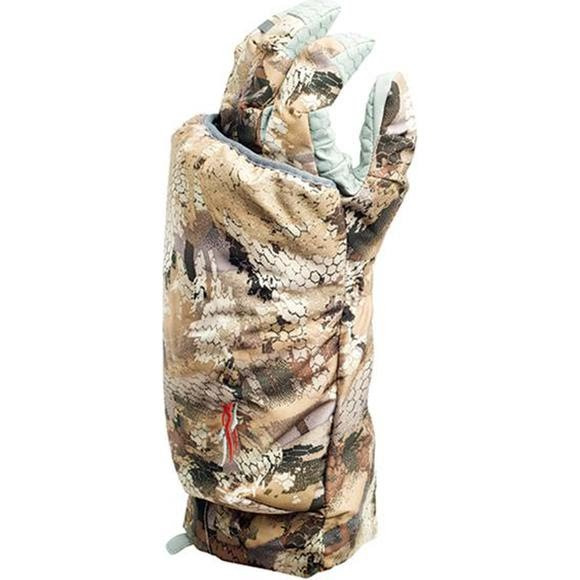 Between waves, keep your trigger hand warm in the highly insulated, Berber-lined hand muff, which is bonded to the back of an ultra-warm GORE-TEX® glove. NOTE: Right-handed shooters will need to purchase the left-handed glove, and vice versa.